This is an astounding month for shows. It all starts tonight with Beyonce and Jay-Z at the Dome (you don’t need me to tell you to go to that show) and continues for the next few weeks. Check out some of this week’s highlights below. Beyoncé and Jay-Z return to New Orleans tonight as part of their OTR II (On The Run) tour. 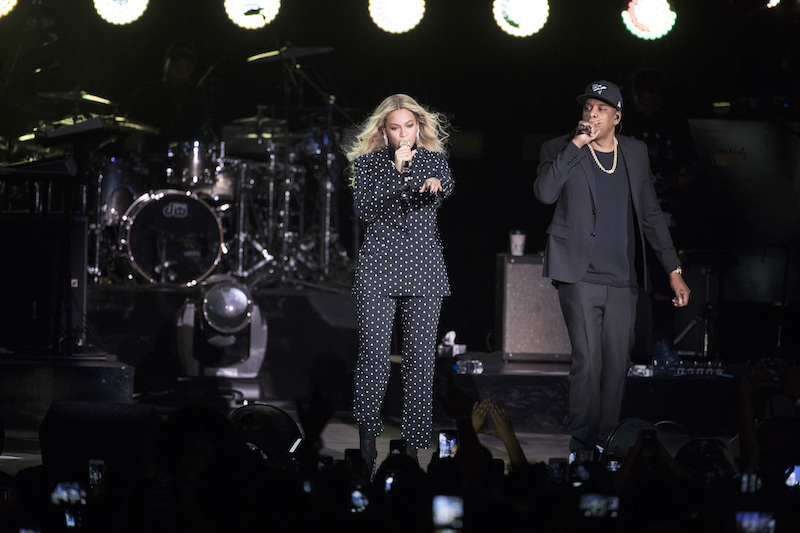 Earlier this summer the pair released their surprise collaborative record—EVERYTHING IS LOVE—to widespread critical acclaim. This is a stunning stadium show capable of using all of the space that the Dome will provide—and if previous stops are any indication running for about two and a half hours. You can always count on these two for the height of pop spectacle. Their shows are the gold standard of stadium production and the music is undeniably excellent. Still a few tickets left so grab them while you can. Check out the groundbreaking video for “APES**T” below. Tomorrow Portugal. The Man—easily one of my favorite live acts—roll into The Civic with Chicano Batman. My love of this band has been pretty well documented in this column—this is your opportunity to see one of the tightest bands on the scene right now. Their last record Woodstock still gets a ton of play in our house. Check out their smash hit “Feel It Still”. Legendary punks Social Distortion head to the House of Blues with Valley Queen and Justin Townes Earle on Tuesday night. Valley Queen’s record Supergiant is one of the fantastic records of the year and Justin Townes Earle remains one of the great singer-songwriters on the americana scene. Finally on Wednesday Frankie Cosmos stops in at Gasa Gasa. As Cosmos, Greta Kline has released two of the truly great records of the last few years. Her most recent release—Vessel—came out in March and continues her measured indie folk sound. There is a wonderful stillness at the center of her music that is immediately entrancing.